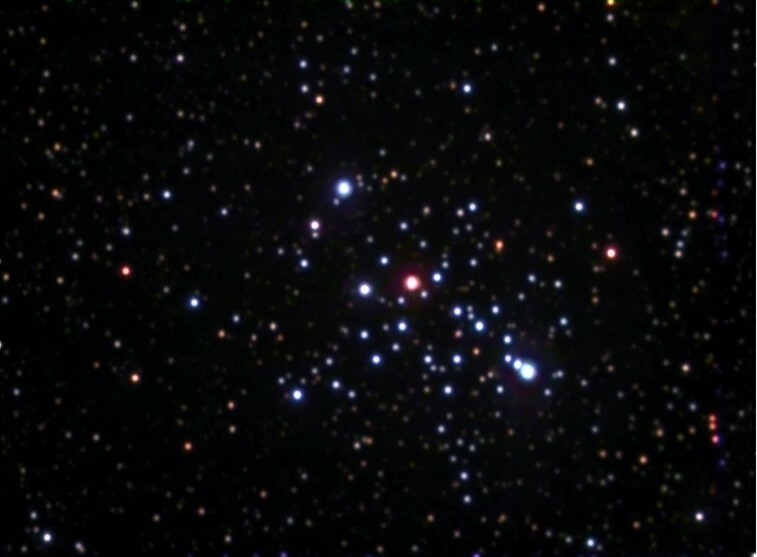 This open cluster in Cassiopeia was discovered by Mechain in 1781 and it was the last object Messier included in his Catalogue. It is located about 8,100 ly away and measures 15 ly across. It contains over 40 stars, including solitary red giant. M103 can be spotted in binoculars just 1° NEE of d Cassiopeiae (see finder chart below). 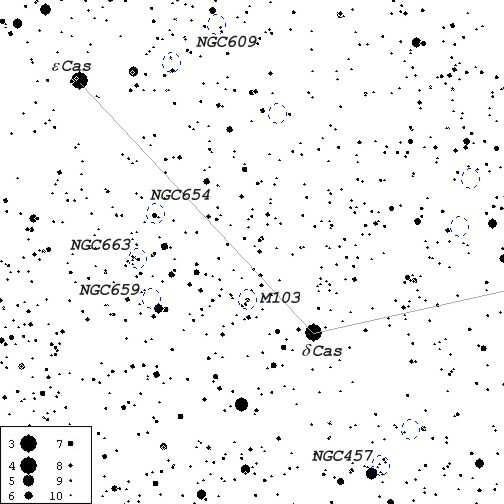 There is an arc of open clusters NGC663, NGC653 and NGC654 about 1.5° NE of M103. M103 image was taken on Oct. 18, 1998 from Sooke, BC using Cookbook 245 LDC CCD camera on Ultima 8 f6.3 telescope, autoguided with Cookbook 211 LDC CCD camera on piggybacked 500mm f8 telephoto lens. 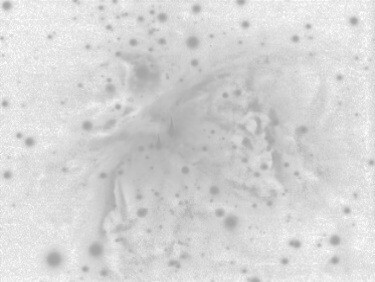 It is composed of white exposures (10 x 60 sec.) as well as cyan, magenta and yellow-filtered integrations (6 x 60 sec., 6 x 60 sec. and 5 x 60 sec., respectively) combined with AIP4WIN. Color image was then re-processed in Lab color space using Corel PhotoPaint 8.